YY SG 94. 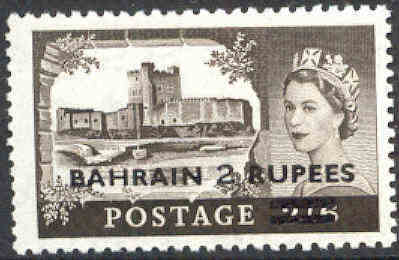 2 R on 2 s 6 d - overprint type II. (£ 11). YY SG 95. 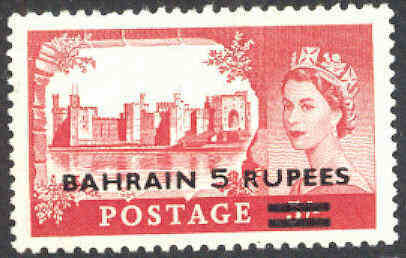 5 R on 5 s - overprint type II. (£ 11). YY SG 96. 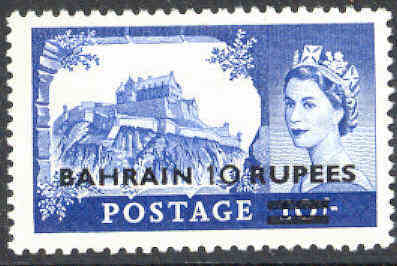 10 R on 10 s - overprint type II. (£ 50). Y SG 97/101. Elisabeth II med overtrykk i Annas - komplett letthengslet serie. (£ 19). YY SG 117/127. 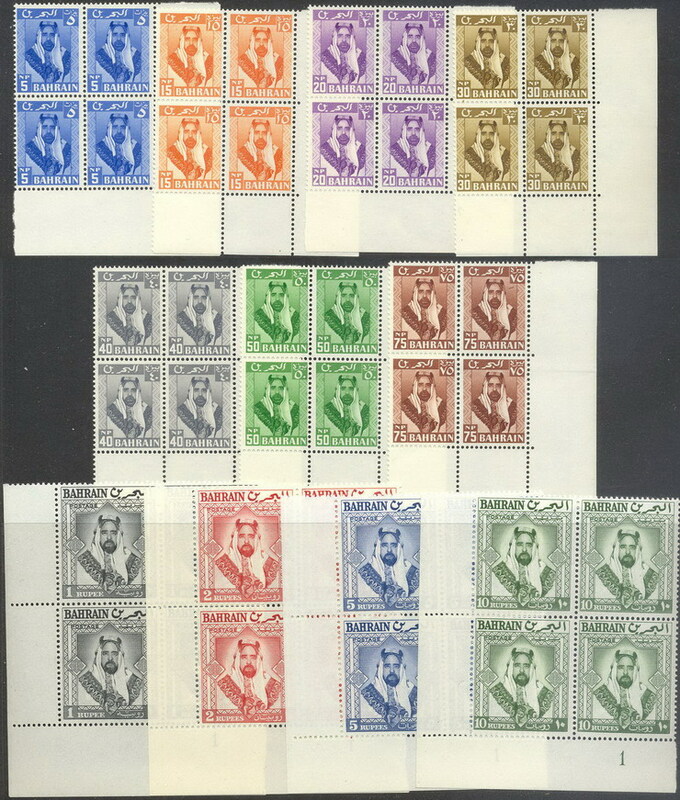 Shaikh Sulman bin Hamed al-Khalifa - complete set. (£ 23). YY SG 117/127. 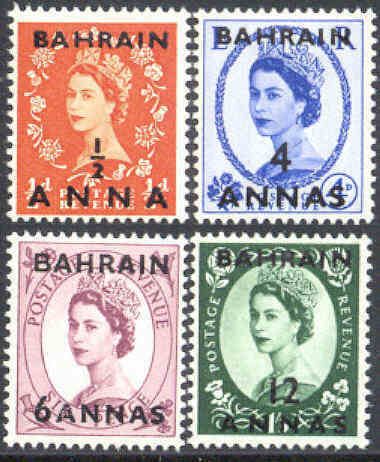 Shaikh Sulman bin Hamed al-Khalifa - complete set in blocks of four. (£ 112). YY SG 96. 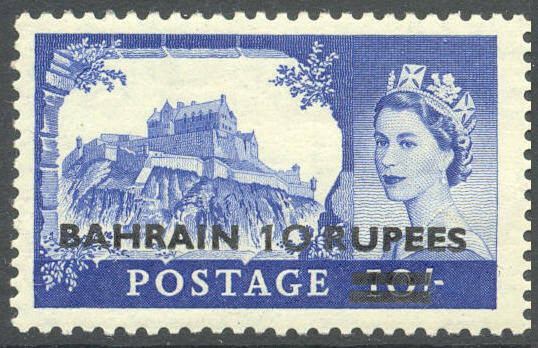 10 R Surcharge 1955. (£ 20).